Best Built Sheds is locally owned and operated in the Treasure Valley. With 22 years of construction experience behind our name, we know how to make the shed building process easy for you. Why Choose a Best Built Shed? We understand that your experience in choosing and purchasing a shed is only as good as the people you work with. We work hard to satisfy every customer by being prompt, courteous and responsive to their needs. Please note our reviews on Yelp and Google. Our reputation and success is dependent on quality. Best Built Sheds will show you how our attention to specific details and the use of quality materials during the build process sets us apart from the rest. For example, we use 30 year shingles, they are standard on all sheds, not an upgrade! By taking these extra steps and more, we ensure that your shed not only looks great while adding value to your home, but also provides superior protection for your stored equipment for many, many years to come. We know that cost is a determining factor when making a shed purchase. 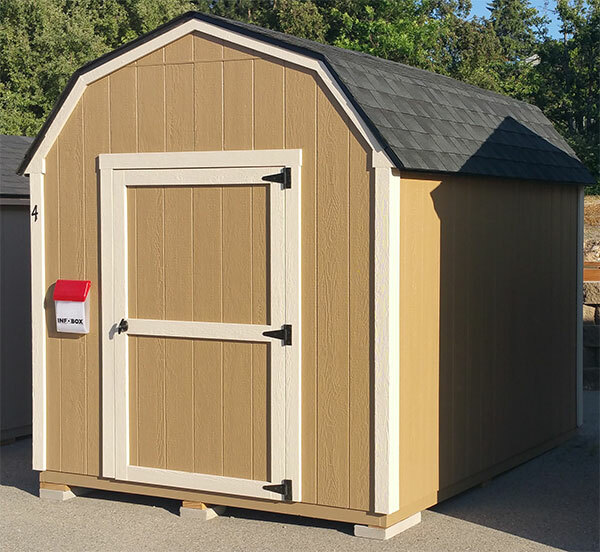 Because Best Built Sheds is locally owned, we are able to manage our operating costs and keep our expenses and overhead low. Compare our prices and quality against other shed companies. You won't be disappointed!! !